Hello, and welcome to my portfolio and blog! For the past three years, I have worked part time as the marketing and public relations specialist for the City of Stillwater (Oklahoma) while completeing my degree in Multimedia Journalism from Oklahoma State University. 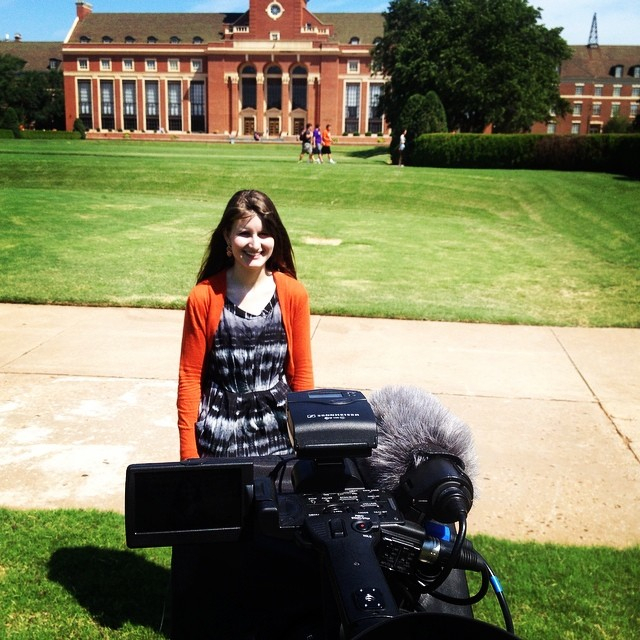 Meagan getting ready to shoot a stand-up on the OSU campus. 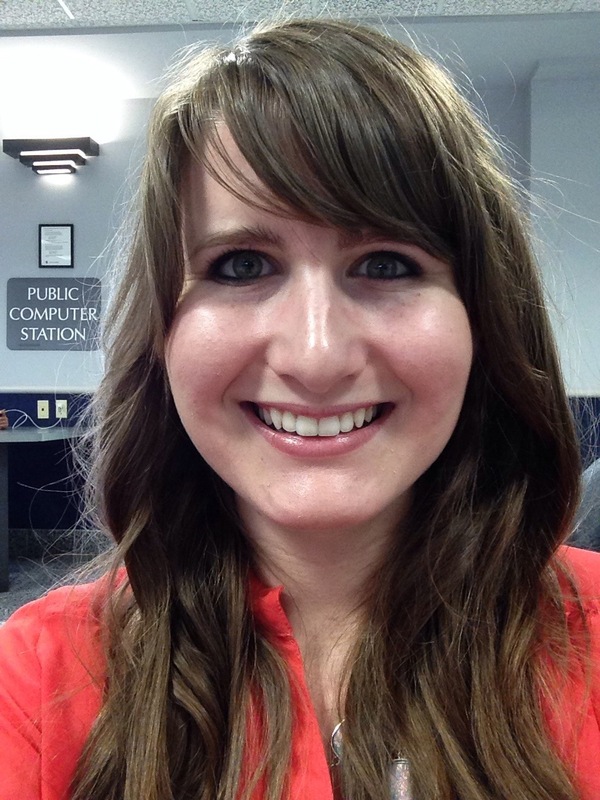 I am passionate about working in a communications office and providing public outreach and assistance to members of the Stillwater community. As I approach my graduation date in May 2015, I hope to bring this experience with me to aid another business, nonprofit or government entity in its PR department. Please feel free to explore my website and review my resume. Thank you for visiting! Part time employee in the Office of Marketing and Public Relations for the City of Stillwater. Completed minor studies in Spanish and Political Science at OSU. Working proficiency of the Spanish language. Recipient of the General Honors Award from the OSU Honors College. Traveled for three weeks in London, England, studying international public relations and advertising (Summer 2014). Will study abroad for one week in Sydney, Australia, focusing on opera and Australian history (March 2015). Member of Phi Kappa Phi, Kappa Tau Alpha, National Society of Collegiate Scholars and Phi Eta Sigma honor societies. 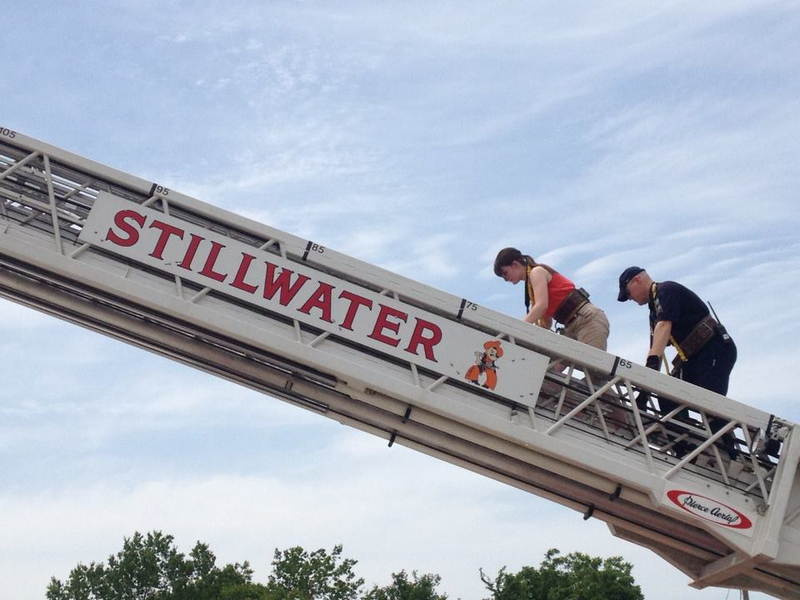 Meagan climbing a fire truck ladder to take photos for the City of Stillwater’s economic development office (from eight stories high!). 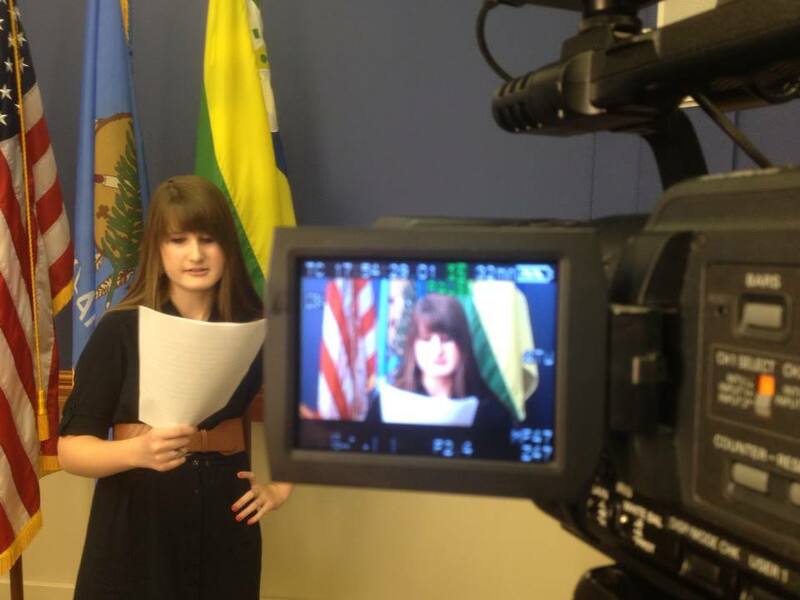 Meagan shooting a stand-up for Stillwater City Beat. 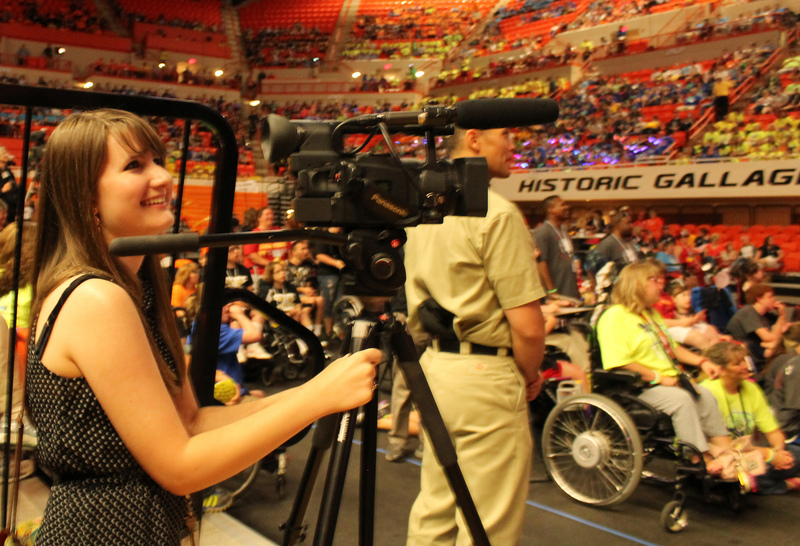 Meagan filming b-roll at the Oklahoma Special Olympics opening ceremony.